Perhaps you have a visual concept of how you would like your kitchen to pan out, our seasoned designers can help you turn that into reality. Even if you are totally blank about which kitchen design or concept to opt for, our designers’ collective experience in this space could be beneficial to you. How? Well, our designers will pay you a visit to assess your home. This includes the available space, your needs and lifestyle, and from there they will discuss any personal ideas you may have regarding your preferred kitchen design. With all that in mind, we’ll then come up with a kitchen design that meets not just your requirements but exceeds your expectations. Sometimes you will want the units delivered to the 35th floor of a story building and having made similar deliveries in the past, we fully understand how to safely deliver even to the top most floors of high-rise buildings. Similar challenges maybe faced when making deliveries in inner cities but thankfully, we are well-familiar with the logistical challenges involved in making deliveries in just about any place and so you can put your trust in us to deliver the units safely. Access is definitely the most common challenge followed by on-site safety and healthy requirements. Our team of experts at Fitted Kitchen Design in Nottingham clearly understand all that and are ready to act and offer professional services in ensuring your kitchen units arrive not just safely but within the proper time. Having been in this industry for decades, we understand what it takes to design a customised kitchen. So we always apply a modern approach combined with unrivaled skill just to ensure that our customers get truly appealing kitchens and more importantly, experience excellent customer service. If you are an architect or developer looking to explore the many styles available today that would potentially optimize your sales, pay a visit to any of our showrooms and you’ll have plenty of styles to explore. We have stocked everything from traditional to ultra-modern styles and if you need help making a selection, we’ll offer our help. 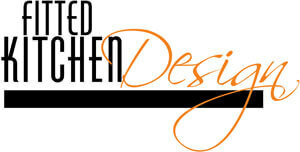 Every other part of the process is also well taken care of as we offer a complete design package. This means that if you need a technical survey done or anything else related to that, we’ll be ready to offer our help. So in essence, you are going to have everything you need to inspire your customers to act. Copyright © 2016 Fitted Kitchens Design. All rights reserved.